What are your favorite restaurants in Tampa? We hope they're local restaurants that first opened their doors in Tampa Bay to provide locals with a taste of the city! The flavor of Tampa makes my mouth water. It’s some of the best Cuban sandwiches, gator and bacon hush puppies, and catch of the day grouper sandwiches for many locals and Tampa natives. Over the past 20 years, the flavor of Tampa has transformed into something much more than just the Tampa classics. Many believe that the flavor of Tampa is a Cuban or grouper sandwich, but Tampa foodies know that it’s much more! We now have brands of all kinds that originated in the Bay like Ulele, #DatzforFoodies, and the Edison Food and Drink Lab. 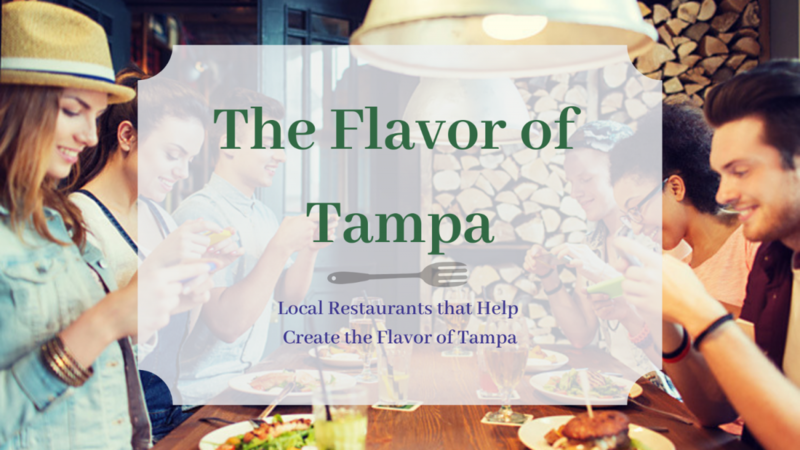 Each of the local restaurants below has helped in shaping the flavor of Tampa. Before you consider yourself a local, make sure you can cross these 20 restaurants off your list and help others discover the flavor of Tampa!